Lilly Ziepke Nichols was born on March 18, 1938 in Nikipol, Ukraine, and died March 20, 2018, in Seattle, Wash.
Life was extremely difficult in the early years of her childhood. Lilly’s family were of German and Ukrainian descent. At the time all Germans in Ukraine were accused as traitors and persecuted. Her family maintained its strong faith in God and Lilly gave her life to Christ at a young age. As World War II raged, they were forced to leave Ukraine in 1943. Her brother, Victor, was taken by Russian soldiers and the family was sent by the refugee commission to Northern Germany, where they lived for five years in one room of a farmhouse in the village of Westerkoog. Times were hard, but God provided a way for them to immigrate to the United States. They sailed on a freighter in 1950 to Ellis Island in New York. The family boarded a train to Mobridge, to live near her mother’s cousin who sponsored them to come to America. They settled in the community where Lilly grew up and graduated from Mobridge High School in 1956. After high school, Lily went on to nurses training in California, and while there, her friends set her up on a blind date with James (Nick) Nichols who was in the Air Force. They were married on July 10, 1958. They settled on the West Coast. She returned to school to become a medical records technician. She worked at Kaiser Permanente in the Cancer Registry Department until she retired in 2000. In her retirement Lilly became the coordinator, beloved grandma, teacher, encourager, and friend for Friends of the Kurds, helping them learn English and settling into a new culture. She and Nick were members of Shadow Mountain for 41 years where she served as a deaconess, was involved in mentoring women, and in a storytelling ministry for immigrants, teaching them English through traditional storytelling using Biblical narrative. Lilly was preceded in death by her parents, Paul and Melita Ziepke; brother, Victor; and sister, Elly. 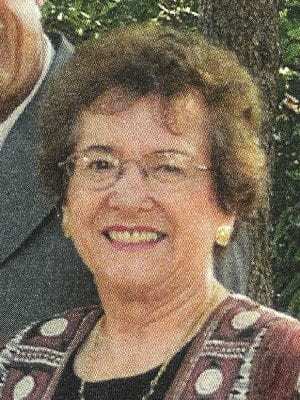 She leaves behind her beloved husband of 59 years, Nick; a sister and brother-in-law, Trudy and Jack Larson; brother-in-law, Bill Nichols; three daughters, Cynthia (Kevin) Cavanaugh, Heidi (Steve) Teeters and Pauline; six grandchildren and nine great-grandchildren.